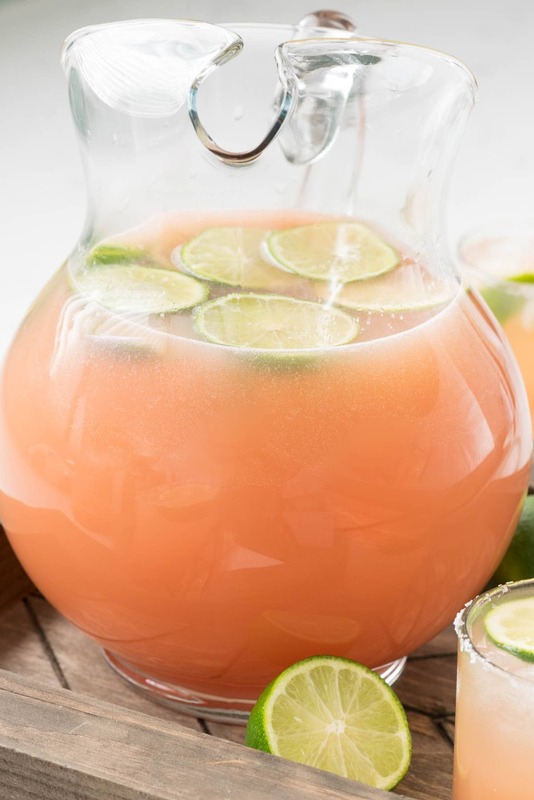 Salty Dog Punch – this easy cocktail recipe is made with grapefruit juice, vodka, and soda with lime for garnish and a salted rim! It’s the perfect not-too-sweet spring or summer punch recipe! It’s feeling like spring here (finally) and the sunshine and warmer weather makes me think about lazy days by the pool and hosting pool parties. And whenever I think about a pool party or a warm spring evening with friends, I always think about cocktails. This Salty Dog Punch is the first of three cocktails I have to share with you over the next few weeks and it’s a keeper, so be sure to pin it because you’re going to want to come back to it again and again. It’s inspired by a cocktail I had at the Morton Salt Next Door Chef: Nashville even I went to a few months ago, and is really brought together by the salted rim. So, you ask, what is Salty Dog punch? A Salty Dog is a simple cocktail that combines either gin or vodka with grapefruit juice. Basically a greyhound cocktail, but the difference is that you salt the rim of the glass, like you do with a margarita. (Get it? Salty Dog is a Greyhound with salt? Haha!) I started thinking about what drinks besides margaritas have salted rims and a little research led me to this gem of a drink. Not only does it taste good, but it’s so pretty and just screams spring, doesn’t it? Normally, a Salty Dog is just one drink: you make yourself one in a highball glass after a long day at work. But, crafty girl that I am, turned it into a PUNCH recipe, because it’s no fun to drink alone. To turn the drink into a punch, I added a bottle of lemon-lime soda. 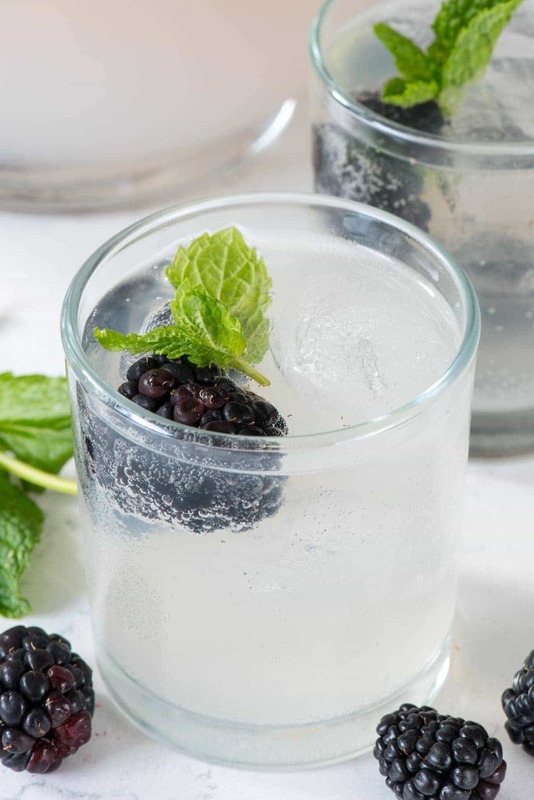 I like adding a bit of sweet to my cocktails, especially with the unsweetened grapefruit juice, but if you want a more authentic drink, you can use club soda instead. Just a few ingredients: grapefruit juice, vodka, soda, lime, and a nice salted rim turn into the perfect party punch! I can see myself drinking this away at Easter brunch, can’t you? Salt is such a versatile ingredient for any meal, especially with cocktails. Do you remember back in November when I went to Nashville with Morton Salt for Next Door Chef? Well, it’s finally time for us to spill the beans about our fabulous meal that night. The purpose behind the event was to teach Travis, the Next Door Chef, how to upgrade his cooking though the proper use of the right salts. Morton Salt paired Travis with Karl Worley of Biscuit Love restaurant, a Nashville hot-spot. They transformed Travis’ house into a fully decorated pop-up restaurant dubbed “Indie’s Kitchen,” named after Travis’s daughter, where they served an amazing meal that blew his family away. Karl’s meal was just amazing. I got to taste every dish and he utilized all the different kinds of salt in such easy ways. 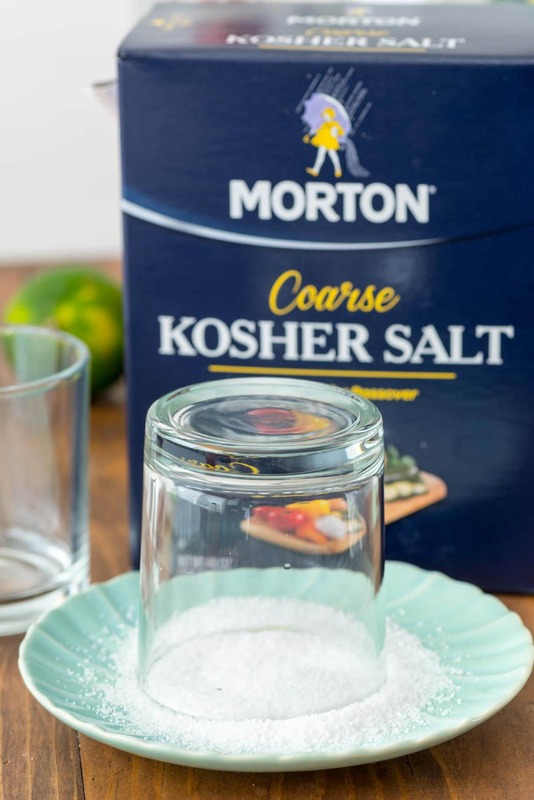 Morton Kosher Salt adds a gourmet touch to dishes, while Morton Coarse Sea Salt adds an artistic “pop” that you and your guests can see and taste. (That sea salt is what I used to top my Salted Caramel Ganache Pie that went crazy last November! The pop of the salt breaks through the extra sweetness of the rich chocolate, leaving you with the perfect flavor combination.) It turns out that many people use standard table salt when cooking, which is a huge miss in the kitchen. The kind of salt you use can transform your dish! This Salty Dog punch recipe was inspired by the cocktail that Karl served at Indie’s Kitchen. He served a lemon spring tea with lemons that had been preserved with salt. The salt mellowed out the bold, tart flavor from the lemon. That citrus to salt connection got me thinking about how perfect a cocktail the Salty Dog really is! Also at dinner that night we had one of my favorite recipes ever: Biscuit Strawberry Shortcake. How do you use salt in shortcake? By macerating the strawberries in it and adding a pinch to freshly sweetened whipped cream. I inhaled the entire dish and also finished another one at the table. I can’t wait to recreate it using my favorite biscuit recipe. This Salty Dog Punch will be the perfect hit at your next party. Just don’t forget the salted rim!! 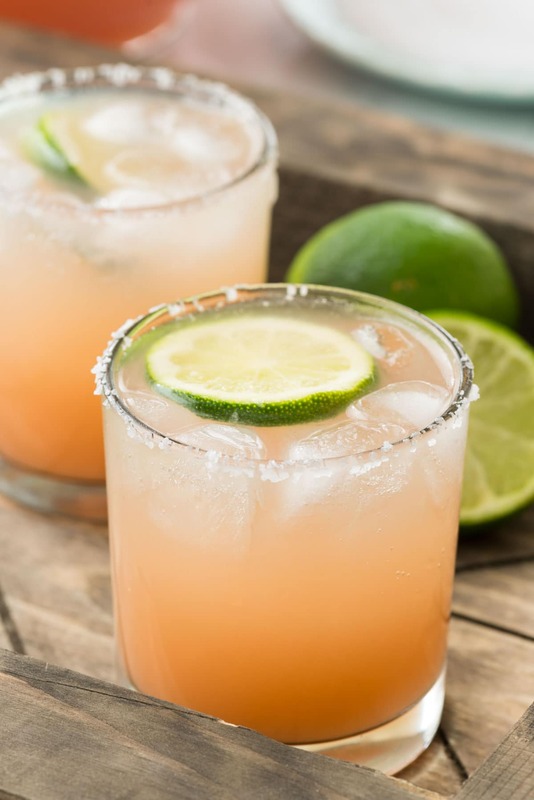 Salty Dog Punch - this easy cocktail recipe is made with grapefruit juice, vodka, and soda with lime for garnish and a salted rim! It's the perfect not-to-sweet spring or summer punch! To make one cocktail: rub a slice of lime around the rim of your glass. Dip glass upside down on a plate of salt to salt the rim. Add ice to the glass, then add juice and vodka. Add a splash of soda to taste and a slice of lime for garnish. 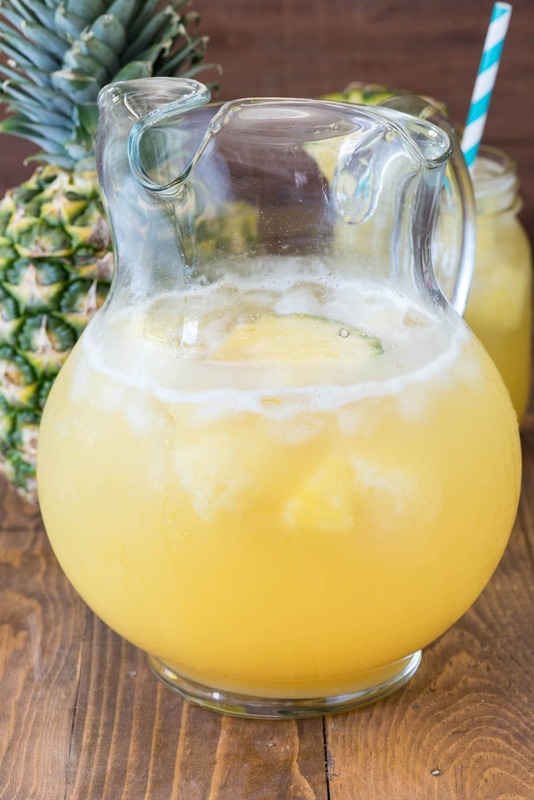 To make a pitcher: Mix juice, vodka, and soda in a pitcher. Add lime slices for garnish. 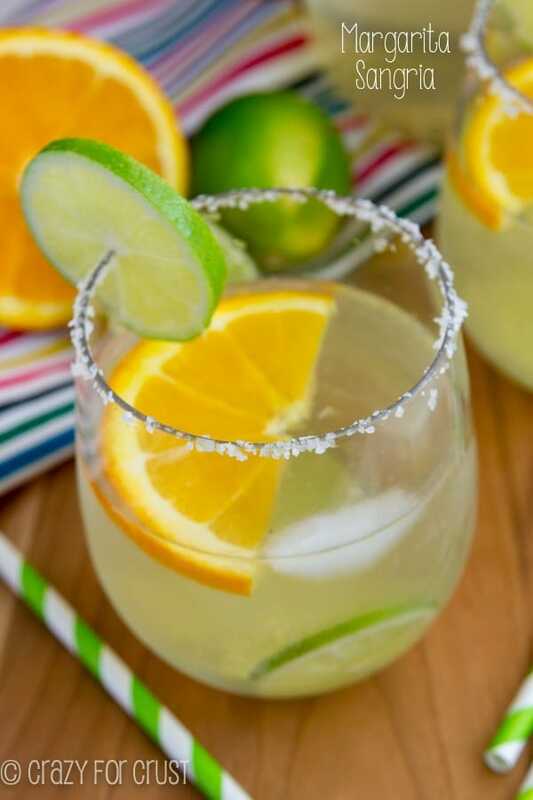 Rub a slice of lime around the rim of each serving glass, then dip them upside down on a plate of salt to salt the rim. Serve drink over ice. I love love love a cocktail with a salted rim (especially Margaritas). This looks delicious and refreshing and perfect for a Friday night! I was so incredibly tired from spending all day on my feet, and then coming home to not be able to sit down and relax right away LOL. When I did finally get a moment, I ran into this drink on Pinterest. It’s like it was a sign, calling out to me, “Hey! You work too hard! Relax with me, you deserve it!” So, I did! This drink isn’t just pretty, but it’s a beautifully refreshing citrus cocktail. Perfect to sip while relaxing on the porch on a warm sunny day. And it’s easy to make too! Thank you for the much needed relaxation, in the most delicious way. I loved being on this whirlwind trip with you 🙂 and your drink is gorgeous!